The plans for Ice District have included a grocery store for some time, but the details were elusive until today. Loblaws announced that they will be opening an “urban concept” CityMarket in fall 2020, to be located at 103 Avenue and 103 Street. CityMarket opened its location in the Brewery District in 2016. Dorinku has applied for a development permit in the former Alder Room and Alta space at 10328 Jasper Avenue. One of the food vendors some may be familiar with from the City Market and 124 Grand Market is opening a storefront! Frida Urban Taqueria, from the folks behind Frida Antojitos Mexicanos, is coming soon to 12411 Stony Plain Road (formerly occupied by The Tea Girl). Vivo is adding a third location to its roster, this time in Windermere. Back in 2017, it added a second location downtown, but was forced to close it after six months. In 2018, they added a Sherwood Park branch. Another Ontario-based franchise is setting up shop in Edmonton: Loaded Pierogi is coming to The Mayfair, at 10815 Jasper Avenue. 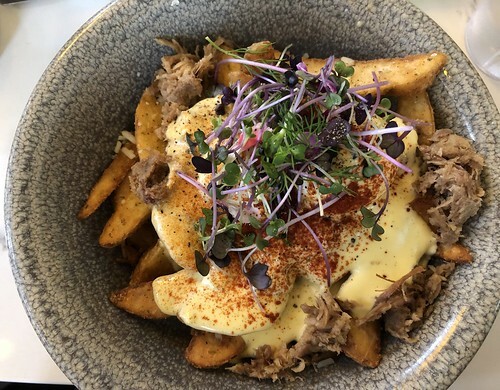 While it doesn’t explicitly refer to itself as a ghost kitchen, it seems like Tango Eatery, “now open” and serving south Edmonton is another example of this trend. Cafe Caribe on Rice Howard Way has shuttered, and will be replaced by Korean restaurant Cup Bap. Munch in the Milner Building on 104 Street has closed. Cafe Bicyclette’s annual Sugar Shack dinners have begun. They take place on Fridays and Saturdays until April 13. Tickets for the 7-course long-table dinner in a wood-heated tent are $75. The Journal was impressed by the food at Artisti Pizzeria. However, it’s disappointing that all three featured photos were supplied by the restaurant. Also on the pizza front, Graham sampled fare from Pink Gorilla, Rosso, Blaze Pizza and Love Pizza. Baijiu is now offering Sunday brunch once a month. The first took place on March 24. Normand’s is celebrating its 30th birthday with a special menu, running from now until the end of April. Pampa introduced a Lunch Club – diners can purchase a card for $25, which can be redeemed for 10 adult lunch rodizio experiences for $14 until the end of April. The newest episode of CBC’s Fast Food features a simple pasta recipe from Chef Daniel Costa. Where Edmonton lists six independent cafes worth checking out. Sharman recapped the latest Prairie on a Plate held at Cafe Linnea. Avenue Edmonton now has a companion podcast to their magazine called Sidebar Edmonton. The first episode covers their latest Best Restaurants issue, and includes Chef Christine Sanford from Biera. Another podcast from Shift Workplace features Teresa Spinelli of the Italian Centre. The Valley Zoo opened a new urban farm exhibit over the weekend, designed to highlight where local food comes from. Now that I’m back at work, I’ll definitely be frequenting El Fogon more often again! 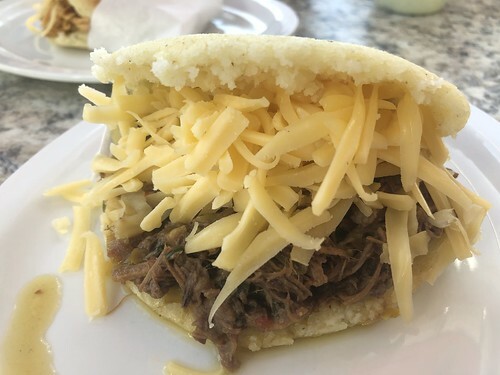 Their beef and gouda arepa is so good. The crowds at OEB show no sign of slowing down; I’m finding that even on a weekday, reservations are absolutely essential. Their breakfast poutine hit the spot for me today.